Earlier this month, the first phase of Hudson Yards, a $25 billion neighborhood suspended atop an active rail depot on the western fringes of Midtown Manhattan, opened to the public. It was met with withering criticism for its perceived lack of street-level spontaneity, its failure to be a welcoming place for all New Yorkers and for the "shawarma-shaped stairway to nowhere" in the middle of it all. All of the castigatory hubbub around Hudson Yards has meant that another proposed Manhattan megaproject with an estimated $10 billion price tag that also could forever alter the landscape of New York City has been somewhat overlooked. And this is a shame given that this particular project, unveiled by New York City Mayor Bill de Blasio the day before Hudson Yards' opening, doesn't involve multi-million dollar luxury apartments, contentious climbable sculptures or high-end shopping malls. And, God willing, it never will. Focused on resiliency, it's an equally as massive an undertaking than Hudson Yards, if not more. 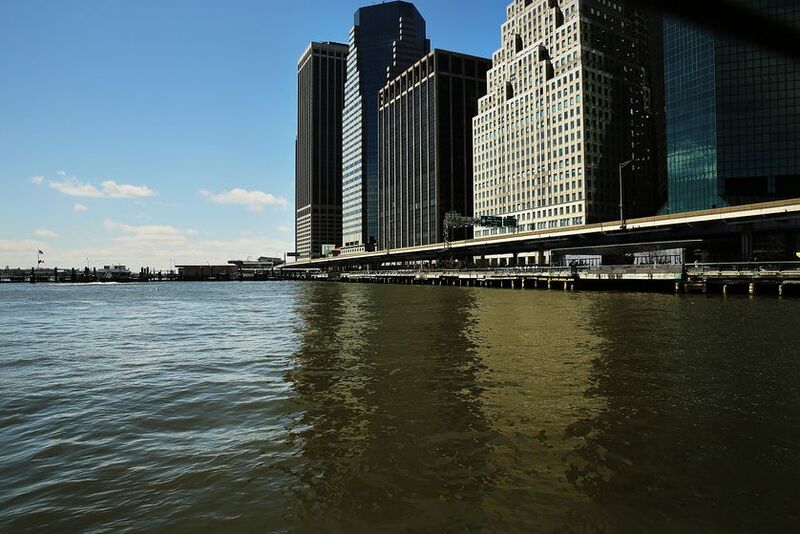 Its main function is to fortify swaths of Lower Manhattan against rising seas by extending the island's southeastern shoreline by as much as 500 feet — roughly equivalent to two short city blocks — into the East River. In the years immediately following Hurricane Sandy, ambitious plans to shield Lower Manhattan from climate change-fueled coastal inundation were hatched, starting in earnest in 2014 with The BIG U. The winning proposal of the U.S. Department of Housing and Urban Development's Rebuild by Design competition, The BIG U was conceived by an interdisciplinary team headed by Bjarke Ingels Group to act as 10-mile-long "protective ribbon" that would wrap around Manhattan's most flood-prone neighborhoods like a snug, waterproof glove. Featuring plant-topped berms, public parkland, artist-decorated flood walls and other elements to help stave off catastrophic flooding, the proposal was designed to "not only shield the city against floods and stormwater" but to "provide social and environmental benefits to the community, and an improved public realm."